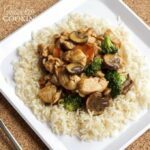 This recipe for Moo Goo Gai Pan was one of the first things I ever posted on this blog! Turns out I had it all wrong. 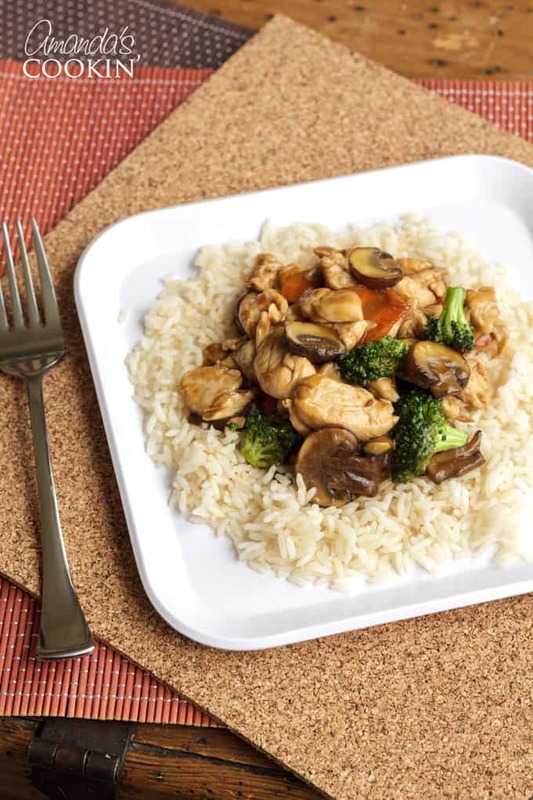 You see Moo Goo Gai Pan is a delicious stir fly consisting of chicken, mushrooms and vegetables. The vegetables vary from cook to cook, but something that doesn’t vary are the mushrooms. When I originally posted this, it was without the mushrooms! That was back in 2009. Now that my kids are all grown and there’s only one left at home, I feel like I have a lot more freedom in the kitchen. Years ago I couldn’t add mushrooms to anything or my kids wouldn’t touch it. Mushroom-aphobia much? I actually love mushrooms and add them to a lot of dishes now like this delicious mushroom ravioli or this mushroom stroganoff skillet. In fact, one of the most popular recipes on this blog are these stuffed mushrooms! My new found freedom in the kitchen has me dying to try these Mushroom Burgers as well as these Mushroom Chicken Foil Packets! 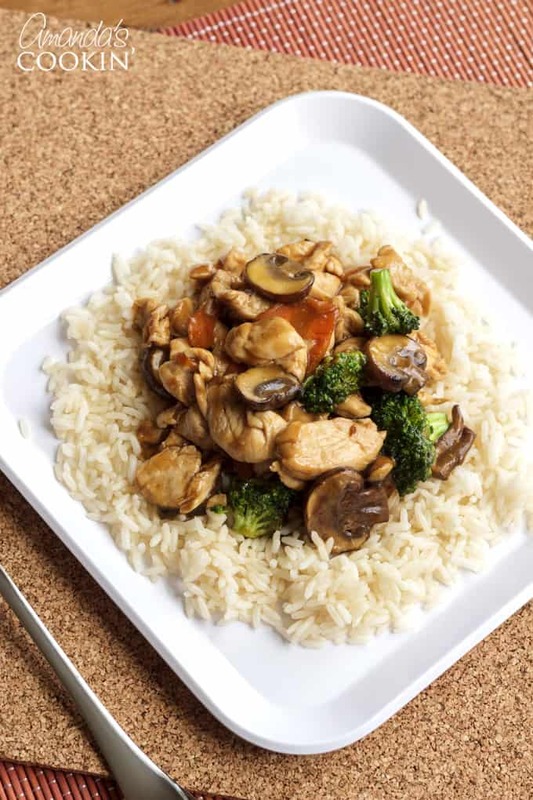 After some research, I found that Moo Goo Gai Pan is a simple Cantonese stir-fried dish of chicken, mushrooms, and vegetables. I have made it with several kinds of vegetables depending on what I had on hand. Carrots and broccoli are shown in this photo, but I’ve used bamboo shoots, snow peas, pea pods and water chestnuts. I like the shaved carrots for added color, but you could even throw in red or yellow bell pepper! Here’s the breakdown on the name. Mohgu means mushroom in Cantonese and gai pin translates to sliced chicken. Moo-Goo-Guy-Pan. You can listen to the pronunciation here. When I was cooking for an entire family I would double this recipe. If you make it as stated it will serve 3 people, possibly 4. You can use any type of vegetable you like, just cut into thin slices… and don’t skip the mushrooms! For another delicious stir-fry recipe, try my easy Spring Stir Fry packed with veggies and chicken, this is a stir-fry you’ll want to bookmark! Another favorite is this Sesame Chicken recipe, a sweet but tangy chicken recipe, sprinkled with sesame seeds laid upon a bed of rice! Moo Goo Gai Pan is a delicious chicken and mushroom stir fry dish you can make at home. Combine broth, soy sauce, hoisin sauce, rice cooking wine, cornstarch and sugar and set aside. Heat wok on high heat and add a tablespoon of olive or other cooking oil. Stir fry vegetables for a 3-4 minutes, remove vegetables. Add another tablespoon of oil to the wok on high heat. Add garlic and stir fry one minute, then add the chicken. Stir fry chicken until no longer pink. Add the broth mixture and let thicken a little, about 2 minutes. Add vegetables and cook for a few minutes, stirring to combine sauce, meat and veggies. 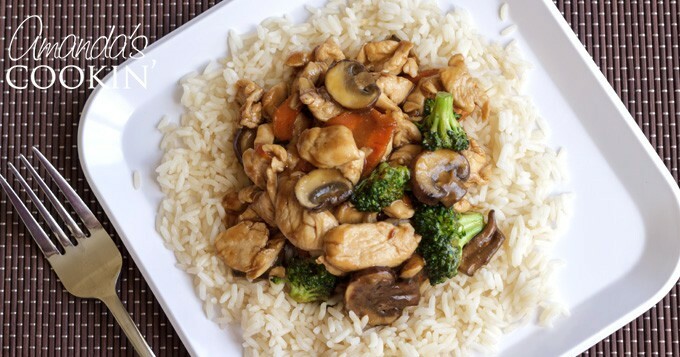 Hee hee… without mushroom it is not “Moo Goo Gai Pan.” This should be called “San Choi Gai Pan” for stir-fried chicken with fresh vegetables. Learn how to stir-fry here. Oh, that looks good. My family and I love Asian flavors!!! I’m gonna print this one out. Thanks! Btw, that was pretty cool that Dorie herself responded to your questions! That dish looks delicious! We love Chinese food, but I’ve never tried Moo Goo Gai Pan before. I’d love to try this recipe. And I’d definitely add mushrooms! :) Thanks! This looks super delicious! I love Moo Goo so I’ll be making this at home! Thanks for sharing the recipe. yum! I love these types of dishes. so fast to make and you get to use up veggies sitting in the fridge. 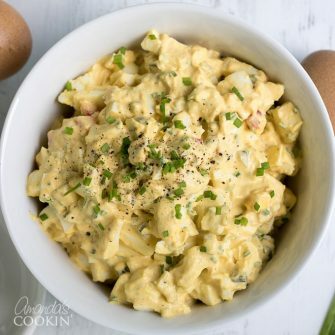 I love dishes like this, they are fast, easy and super delicious. Yours look really yummy. I am adding this to our menu for the coming week. It looks delicious! We love all types of mushrooms so I will be adding those to the recipe in place of the pea pods because other than me, no one will eat them. I’ve never had this either Amanda but I think the hubby and kids would love this!! Thanks for posting it! 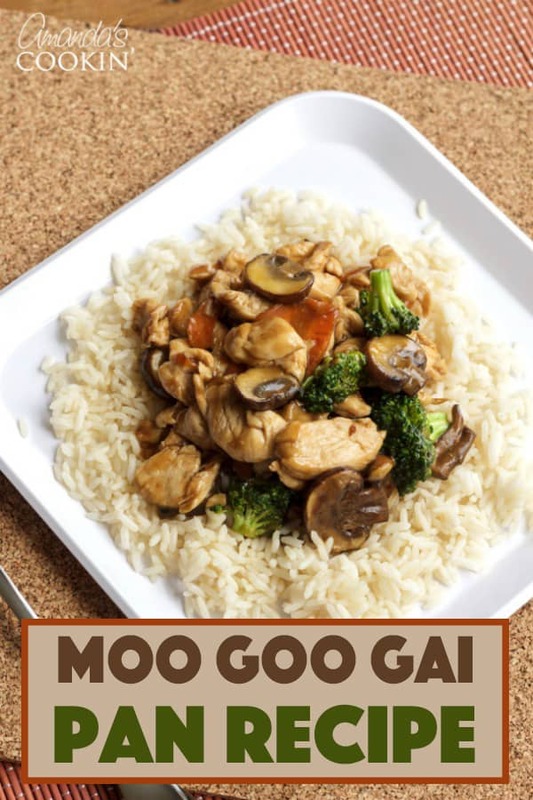 This looks great, I have never had moo goo before. Sorry to say I am with your hubby and kids I too don’t like the shroom but my husband loves them.